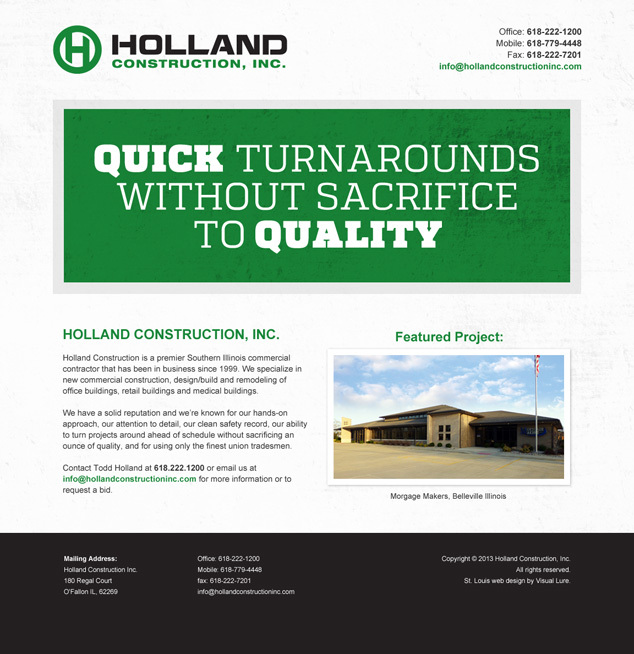 Holland Construction, Inc., a Southern Illinois/St. Louis Metro East commercial contractor, is located in O’Fallon, IL. They wanted a simple web presence, mainly for contact purposes, so we designed them a single page website in HTML and CSS. You can see the design below, or visit www.hollandconstructioninc.com. Learn more about our web design services, and don’t forget to check out our web design portfolio.